Nobody likes to clean the bathroom, yet it is one of the places that everyone SHOULD clean at least once a week. To make this part of your weekly clean and to keep it sanitized we have come up with some tips on how to clean it fast and keep it nice and clean for some time. The first thing we start with is on the floor, and then we move up. If you have a guest arriving today, the fastest way to clean your bathroom floor is to vacuum your hair leftovers. The first thing to do when you start cleaning the bathroom is to vacuum all those hair follicles and then move on to the cleaning of the rest of the bathroom. It is fast and easy to do this step. We will come back and mop the floor but only when we have finished cleaning everything else. If you are not fond of wiping down the whole shower area with a dry towel the moment you are done showering than we recommend one of the ceramic cleaning products. The buildup of soap and scale from showering can best be dealt with a cleaning product that has a high pasty consistency. If you don’t want to have your hands full with a job that can take several hours to clean, we recommend that you do this at least once am a month. Just make sure you don’t use acidic based cleaners on limestone and marble. Scale buildup be a terrible problem if you don’t have the right tools for the job. People will try crazy expensive products to try and remove these from the toiled. But in truth, you just need one cheap product that is accessible to everyone. Hydrochloric acid! Put some of this straight from the bottle on the parts of the toilet where the scale buildup is and use to toilet brush to reach the areas you can’t by spraying. This will clean the whole bowl in less than 30 seconds and will sanitize it at the same time. Remember that you can always call in the professionals if you need help with cleaning your home. Every time you clean your house you are presented with a job that nobody actually likes to do. To do it properly you have to devote your time and your energy. The big problem when it comes to cleaning is the stains which take that extra effort to clean. Tough stains can be on different things in your house, like your clothes or furniture, but the method to clean them is the same. We will list a few ways on how to deal with those tough stains. This is a type of stain that hits every house, and if lucky it hits you just once a month. 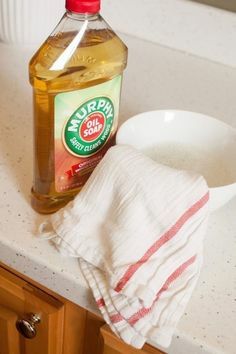 The usual way to deal with these stains is to grab some baking soda and sprinkle it on a wet rag when you try to blot the stain out. The second way is to mix in a teaspoon of detergent in a small bucket of water. Apply it on the stain and then rinse it with a mixture of water and vinegar. This type of stain can happen on everything in your house. Your clothing can be the victim or your carpet. The funniest part of cleaning freshly spilled red wine is you can use white wine on a piece of cloth and try to rub it out. If it is a dried red wine stain, you have to use shaving cream and make sure you apply just enough to cover the stain and leave it for a couple of minutes. After which you will try washing it down with hot water and a rag. If all else fails call in professional carpet cleaners – their heavy duty cleaning equipment should be able to lift the stains. 3) Sticky stains like Gum, Glue, etc. If these types of stains happen on your clothes, if possible put the clothes in the freezer. When your clothes freeze, rub off with a rag the parts where the substance has frozen. If it’s on a carpet, you can grab some ice cubes in a piece of cloth and try to freeze the area where the gum is glued. For glue stains, you need to use professional products. Just make sure you leave them on the stain at least 10-15 minutes, so the stain gets out easier.